Find a new Dodge Grand Caravan at your local Anchorage, AK Dodge dealership. View NEW Dodge Grand Caravan Inventory	Looking for a USED Dodge Grand Caravan? 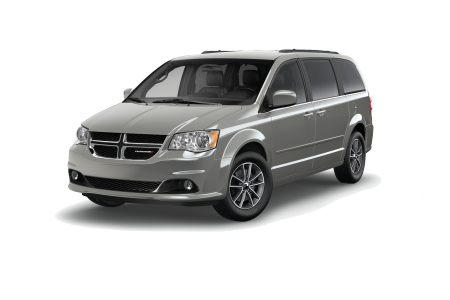 Overview The versatile Dodge Grand Caravan offers some of the best bang for your buck for a passenger van in Anchorage, Alaska. At Anchorage Chrysler Dodge Jeep Ram, we love the feature-packed interior of the Dodge Caravan, as well as its ability to switch easily from seven-passenger seating to roomy cargo hauler. Chauffeuring the cross country team to Chester Creek Trail, or getting the band to practice at West Auditorium, you'll have plenty of room for people and gear in the Dodge Grand Caravan. Visit us in Anchorage, AK for an exciting test drive! Why Us? Anchorage Chrysler Dodge Jeep Ram believes in hometown values, which is why we offer our Anchorage, AK, neighbors the Best Price in Alaska Guarantee. We serve our community with friendly service, flexible financing, and a huge inventory that includes a vehicle for every lifestyle and budget. Visit the dealership and test drive a family friendly Dodge Grand Caravan today. Our auto service center in Anchorage, AK, makes it easy to keep up with your busy schedule. Our convenient Saturday service and Mopar Express Lane get you and your Dodge Grand Caravan in and out for an oil change, battery replacement, tire check, or just a new set of wiper blades. Visit us, give us a call, or fill out our auto service appointment form to reserve a time!